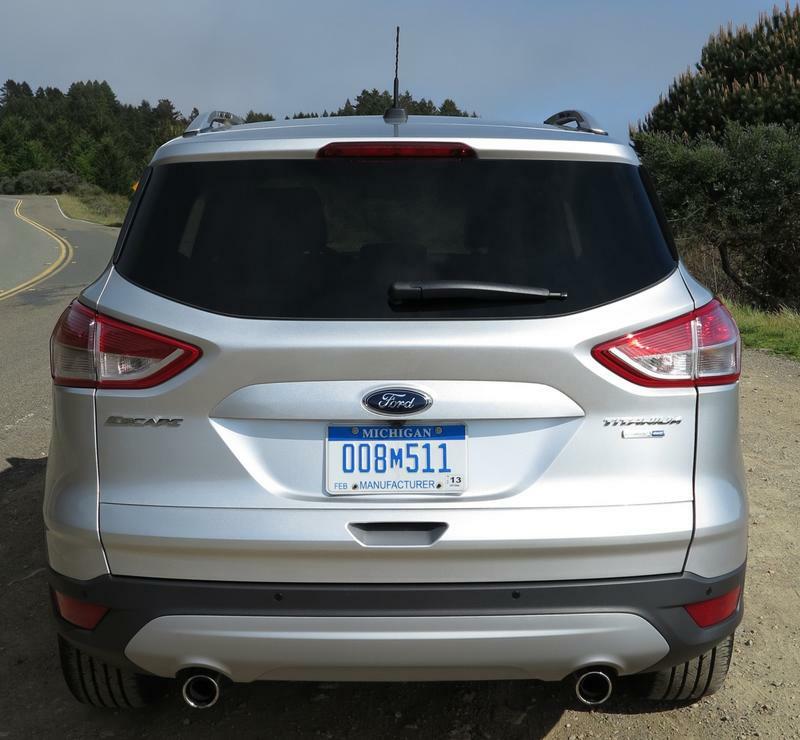 Recently, I got a chance to test out the 2013 Ford Escape SUV/Crossover in San Francisco with a tour of Bodega Bay and the Marin countryside. While the views were spectacular, the new Escape was not too shabby either. That's because Ford spent roughly three years on a total refresh of the Escape model, and the 2013 brings substantial new artillery to the table. Not only is the body completely redesigned, but several new forms of technology have been integrated into the new Escape as well. Discovery.com journalist Eric Rogell and I were able to snag one of the 2.0-liter EcoBoost Titanium models, loaded to the hilt with options. Ford also makes a 1.6-liter, but where's the fun in that? Eric's main goal was to make me violently carsick throughout the snaky Marin twisties. We wanted to see what the 2.0 was capable, and it was rather impressive. The Escape hugged corners and offered a solid ride. This was due in part to the fact that Ford flattened the 2013 model and made it slightly longer. As a result, the drag coefficient was improved and the car exhibited significantly sportier handling than its predecessor. 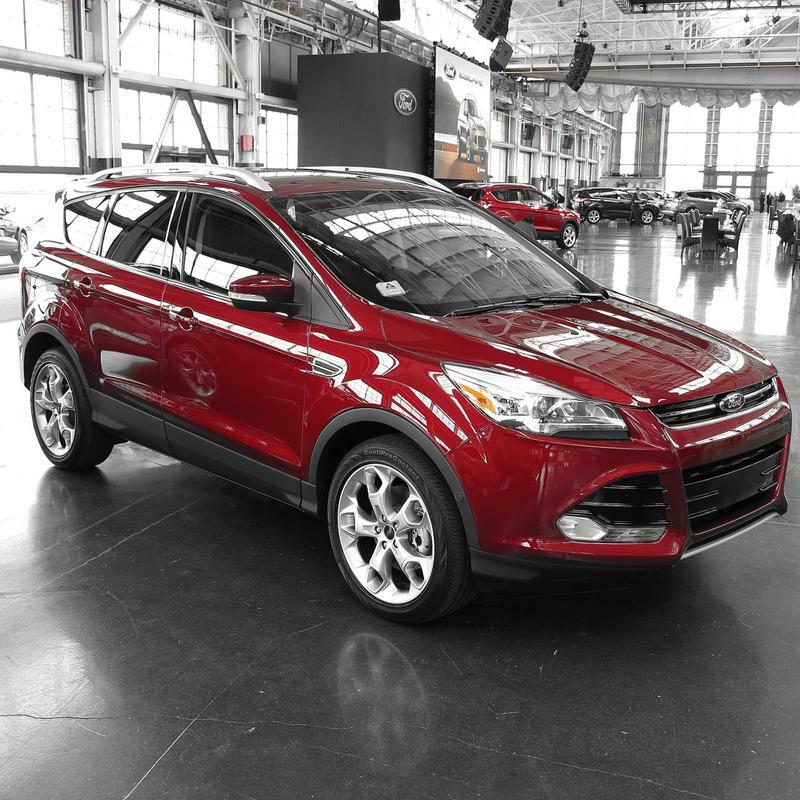 Aside from more muscular architecture, the 2013 Ford Escape was littered with technology, and I'm not just talking about the latest version of MyFord Touch with Sync and updated maps. 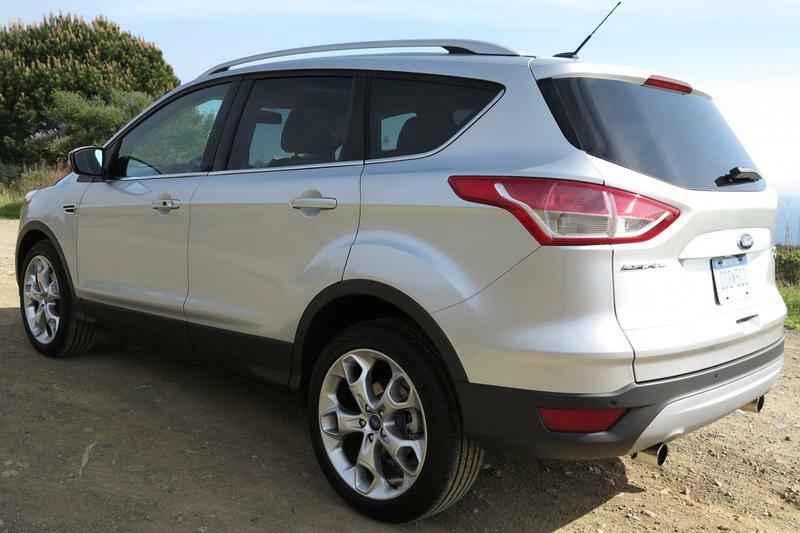 Granted, the touchscreen LCD with its more intuitive interface was a nice touch, but the 2013 Ford Escape featured an indusrty-first hands-free liftgate. That's right, the Escape's liftgate opens and closes via a simple kicking motion of the foot under the booty of the car. Ford borrowed similar technology from the Xbox Kinect sensor system to achieve this grocery run savior. 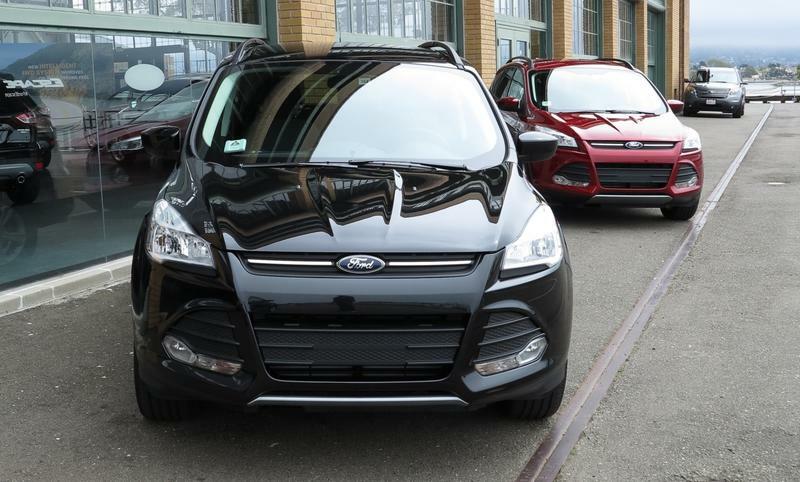 While we're talking about cargo, the 2013 Ford Escape retained the same amount of cubic feet, despite its design refresh. Hidden storage compartments also reside around the spare tire and the entire rear seating folds down electronically via the press of a button. So yes, the new Escape can "fit more junk in its trunk" as the banners said. Select models will have a panoramic sunroof, forged aluminum wheels, Blindspot Detection (BLIS system) and a few other tricks. But the tech didn't stop at the hands-free liftgate. 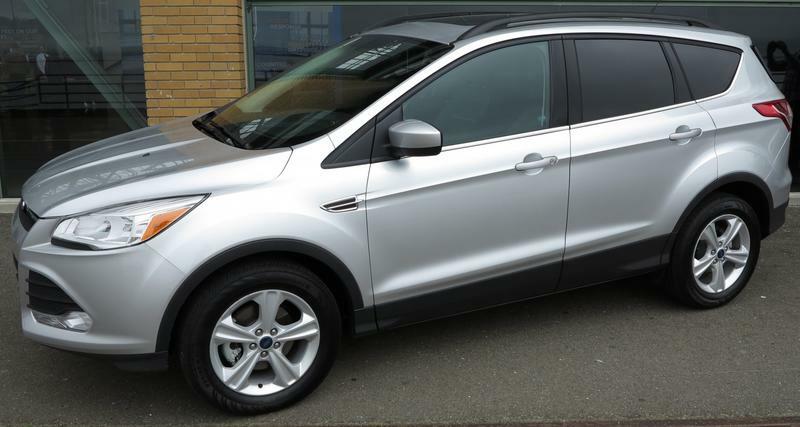 The new Escape had a new Intelligent 4WD mode, which monitored each wheel every 16 milliseconds (20 times faster than the blink of an eye) and applied the correct amount of torque to each wheel depending on the road conditions. This is just like the Escape's Curve Control system in reverse, which applies the brakes individually to each wheel in order to help prevent the driver from blowing a tight corner. Intelligent 4WD could be selected via the Escape's in-dash LCD screen (just like the one on the 2013 Mustang we drove), controlled via a directional pad on the steering wheel. Paddle controls and buttons riddled the steering wheel, allowing me to make calls, prompt voice controls, adjust music and set cruise control. For the bling ballers, the 2013 Ford Escape had customizable cupholder highlight colors, controlled through the MyFord Touch system. The center console had RCA, SD card and dual USB connectors for gadgets while the rear seat benefited from a 110 power outlet. But my drive was not complete without giving the Active Park Assist a whirl. Aaron from Ford was kind enough to guide me through the process, which consisted of pressing the Park Assist button, waiting for the Escape to find a spot, letting go of the steering wheel and controlling the brake and gas pedal while the car steered itself. It was truly amazing, though I found that the car cheated out into the road slightly when attempting to park in tight spots. Nevertheless, the rear camera and large dash LCD made the process a breeze. Even though I still prefer manual parallel parking, this system will help those who are inept behind the wheel. Overall, I had a great ride in the 2013 Ford Escape. The car will be very popular, especially since the base model will retail for $200 less than the outgoing Escape. 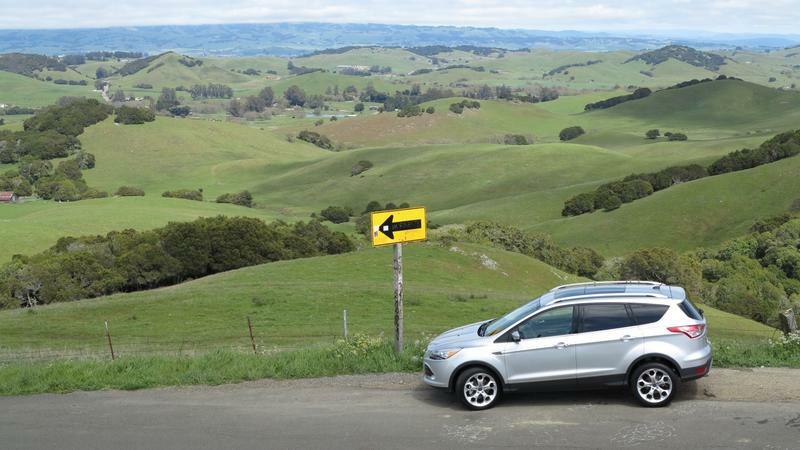 If you're looking for a crossover to Escape in, don't forget to include this Ford in your search.